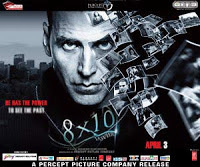 I have a secret,” Akshay Kumar says glumly in a scene from his new thriller film 8 x 10 Tasveer. Well, the secret’s finally out, Akshay. Now the whole world knows your film stinks.I’ll go with one out of five at best for director Nagesh Kukunoor’s 8 x 10 Tasveer, it’s a failure on all counts and a film best avoided. Some more supra-normal stuff after 13B and Aa Dekhen Zara? Why not, provided it gives you the believe-it-or-not feel and carries you beyond the realms of conventional imagination. So, does Nagesh Kukunoor’s dalliance with sci-fi meet this criterion? Not really. For though the film is based on an unusual premise and focuses on a new hero-type, the plot simply plods along, with undue repetition and the sci-fi biz is just a ploy to peddle a regular whodunit. Also, the search for the murderer ends up in a conclusion that is riddled with loopholes. Too many, to be brushed aside as creative licence. Nagesh Kukunoor enters a new zone with 8 x 10 TASVEER: Suspense-thriller. His choice of the genre and subject material is also right. On the whole, 8 x 10 TASVEER disappoints. The film goes wrong, in fact horribly wrong, in the penultimate 20-25 minutes, which is the lifeline of any suspense-thriller. Nagesh Kukunoor has missed the bus this time! Tsk, from the Nagesh Kukunoor who once greatly Hyderabad Blues’d? Basically, this is just Aa Dekhen Zara with real actors. When you expect the film to open up as a supernatural thriller through Jai’s vision, Nagesh Kukunoor changes your viewpoint turning the film into a conventional who-dun-it murder mystery drama. Reportedly Nagesh Kukunoor appealed critics to not divulge the ending of the film in their reviews. The question is how many will actually sit till the end.The film neither works as a murder mystery nor as an X-File kinda supernatural thriller. Tasveer just doesn’t click with the viewer! 8×10 Tasveer suffers big-time on accounts of its pace. Race was also packed with forced twists – but it moved at such a brisk pace that the viewer had little time to think. This movie is painfully slow for all its 120 minutes. In fact even Jodhaa Akbar’s four hours felt shorter in comparison. 8×10 Tasveer is neither a gripping murder mystery nor a riveting supernatural thriller. 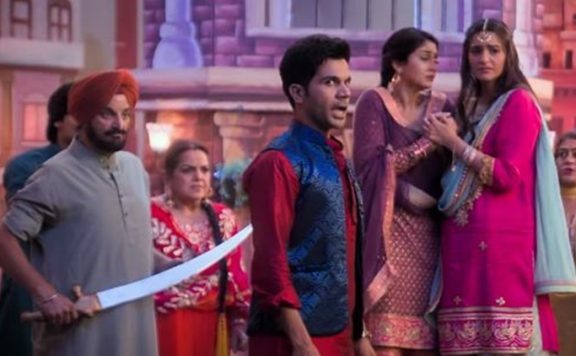 In an attempt to blend the two genres, the makers serve up one hotchpotch of a film. If you’re a Nagesh Kukunoor fan, be warned: this is nothing like any of his earlier movies.Pity since Kukunoor begins by telling the tale well (if you’re ready to go with the tasveer trick) and Akshay Kumar is in great form, doing what he does best — lots of action, a couple of good stunts and some no-frills acting. But superhuman he ain’t; he can’t really rescue this movie.